Rick Hornyak and his band, Sweet Clover, reflect the classic blend of Americana, Classic Country, and Classic Rock unique to Austin, Texas. 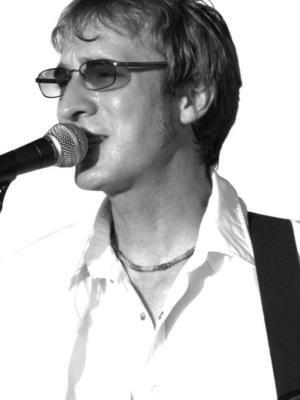 Rick Hornyak has a long and proven track record of engaging a broad audience through soulful, upbeat sounds and intimate lyrics that compel people to dance & sing along – and inspire the occasional air guitar. A professional recording artist and established musician, Hornyak tours the US regularly, entertaining his audiences with a mix of original music and crowd-pleasing covers. He lives to perform and appreciates the value of working with an experienced, professional, and reliable business partner. * Fifteen years experience and over 1000 live performances. 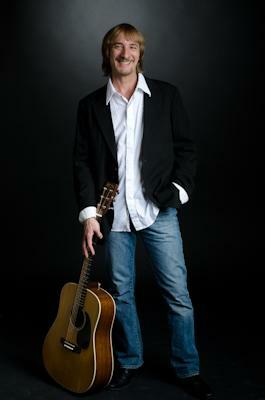 * Rick Hornyak performs solo, duo, or with Sweet Clover, a band of up to 5 members. * Sweet Clover gives your audience the authenticity of an original music band (plus a mix of covers) but at a more affordable rate than a "cover band." * Public Music Venues: Standard 5% Booking Fee will be returned to you as cash back the evening of the performance! * Brides: We provide full-service music and sound services, allowing you to focus time and energy on other elements of your Big Day. Services include planning, music selection consulting, announcements, ceremony music, reception music, DJ services between live music sets, and all sound equipment. If an authentic, original Austin band is the entertainment you want to provide your guests, Sweet Clover is the way to go. We'll work with you to create a mix of our original music with a variety of live and recorded covers to create the perfect event for you. References available upon request. Please note Rick Hornyak & Sweet Clover will also travel to Manchaca, Del Valle, Buda, Kyle, Cedar Creek, Dale, Manor, Mc Neil, Pflugerville, Driftwood, Lockhart, Maxwell, Round Rock, Cedar Park, Elgin, Red Rock, San Marcos, Spicewood, Leander, Bastrop, Dripping Springs, Wimberley, Martindale, Coupland, Staples, Fentress, Hutto, Mc Dade, Prairie Lea, Rosanky.